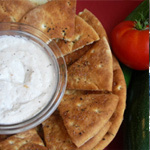 This filling is smooth and easy to work with. 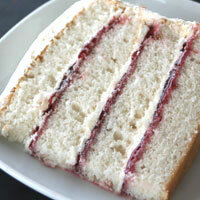 It's really just jarred jam, but pushing it through a fine-mesh gives it a smooth velvety texture. 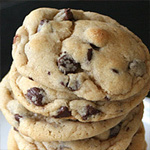 It's tempting to skip this step and use the jam straight from the jar. You'll be happier with the results when make the extra effort to do this. Place a fine-mesh sieve over a bowl. Add the jam to the sieve and stir vigorously, pressing the jam through. Scrape the jam off the bottom of the sieve. Discard the seeds. Refrigerate until ready to use. 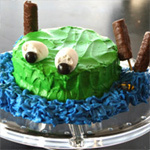 Great with white cake! 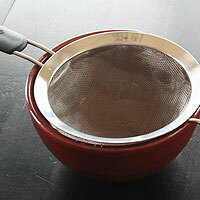 Place a fine-mesh sieve over a bowl. 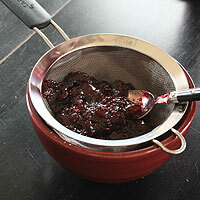 Add the (1,2)jam to the sieve and stir vigorously, pressing the jam through. Scrape the jam off the bottom of the sieve. Discard the seeds. Refrigerate until ready to use. 1. 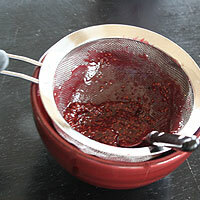 Even if the jam is seeded, it is good to push it through the sieve to make it smooth. 2. 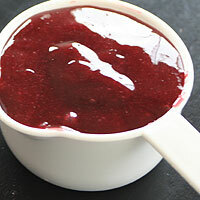 Other fruit jams or jellies can be substituted for raspberry. 3. 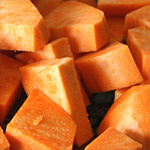 Freezer jam is often too thin to use as a filling.